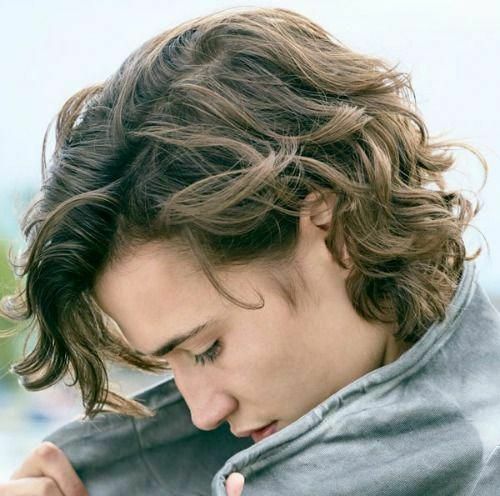 Looking for the best medium and shoulder length haircuts in 2019? Not only women want glamorous hair! 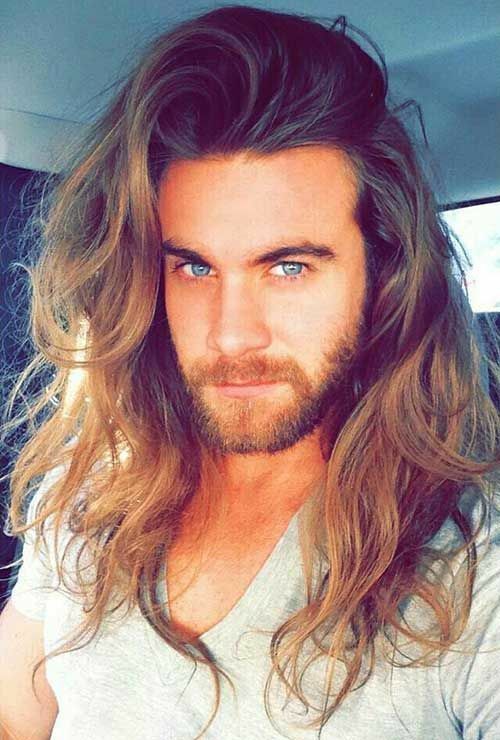 Some men are also fascinated to have unique medium length hairstyles. Besides, full hair is one of the signs that you are in good shape with good genes so there is no need to eliminate this kind of wealth. Many unique medium length hairstyles can also transform your lengthy locks into amazing and eye-catching looks. Some are also quick and easy to do! But before we go further, it is important to keep in mind that not all long hairstyles are suitable for all face shapes. 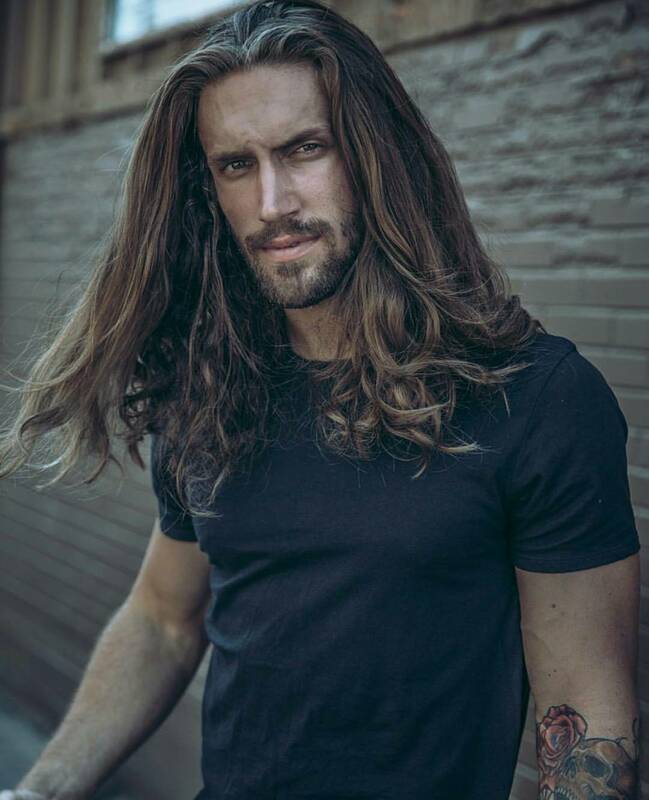 Even though medium length hairs do not look pleasant on everyone, there are already many men wearing unusual mid length hair and look incredible. There is no doubt that medium or shoulder length hairstyles will be on the trend in the near future! 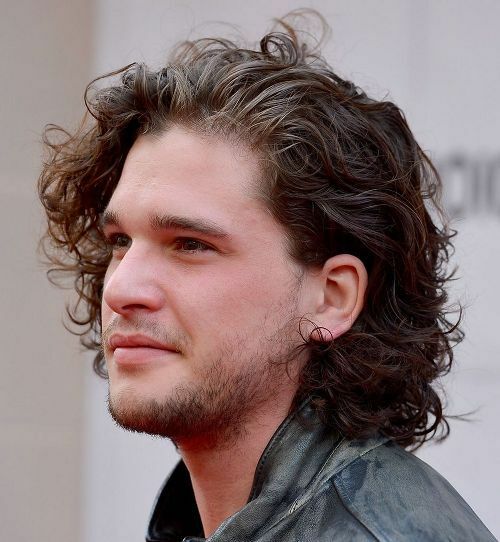 Here are 30 unique medium or shoulder length hairstyles for men that you can easily try. Take a look at the unique long hairstyles below for amazing and eye-catching appearance. Have fun! 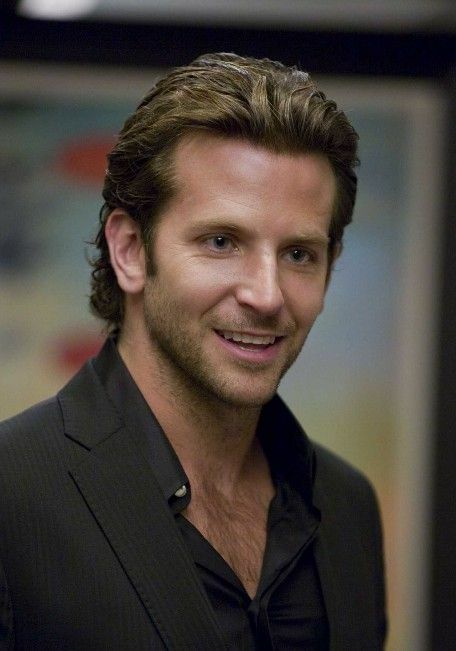 For men with medium length hair, this casual style is one of the best hairstyles for formal and office setting. It is also the one to go when attending special occasions such as wedding parties. The sides are simply combed outwards and forms natural waves. The hair near the forehead is also brushed upwards going to the side to give a great view of the whole face. It is also easy to maintain and manage this look. This is one of the hairstyles that let you keep the hair away from your face. If your hair is already below your jawline, sits on the shoulders or below the shoulders, you can easily pull your hair together into a bun. This hairstyle twists the hair first before tying the hair for better appearance. It also gives a cool feel. For another formal or professional look, you can try side swept hairstyle. This works better on medium length and silky hair. From the tip of the forehead, simply brush your hair to the side using your fingers. This also creates additional volume. 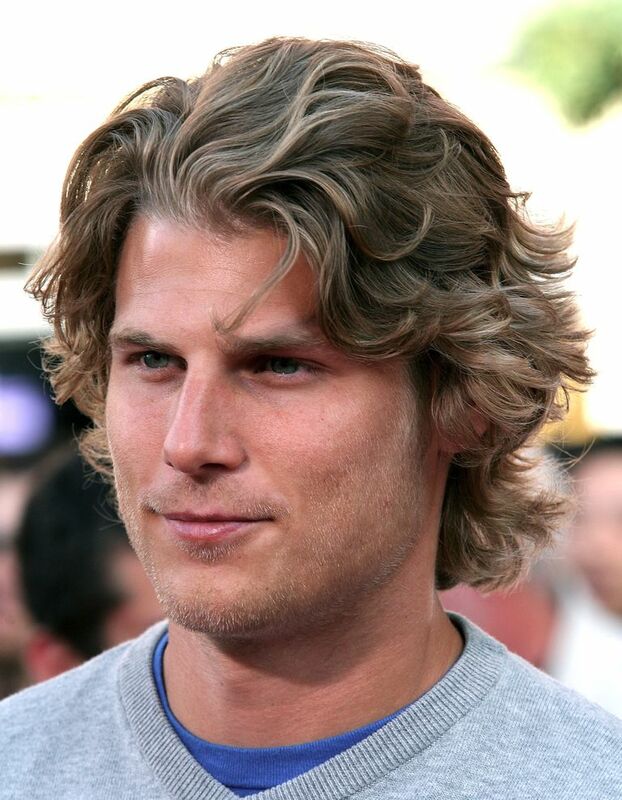 The tips of the hair are also curled slightly for more masculine effect. This style is perfect not only for office setting but also for outdoors. It also produces a relaxed vibe. 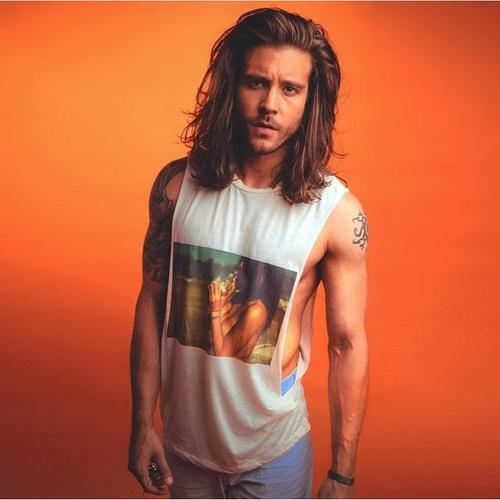 For men with thick and medium length hair, there would be no problem in achieving this style. All you need to do is to apply your favorite hair product and brush your hair backwards using your fingers. The sides are going outwards together with the hair on top. This creates depth to your hair and provides a rocker vibe. If your hair is too long and you also perform many outdoor activities, having it braided can save you from too much hassle especially when it gets windy! It has a net style on the crown area and those are used in the making of the braid. This is perfect not only for outdoor activities but also for attending friends’ parties. Another great hairstyle that you can wear is the soft curls. The shoulder length hair is softly curled from above the ears towards the tips of the hair. It is great for any kind of face shape and also manly looking. You can also grow short beard and mustache to let it get along with your hair. It is also great for formal and office setting. This is another great medium length haircut for men. You can take your hairstyle to the next level with multiple braids and a high bun. There are about five braids starting from the tip of the forehead and very attach to the scalp towards the back. The ends are then pulled together into a high bun. This hairstyle is great for outdoor activities and informal parties. It is also one of the haircuts of many singers. This hairstyle gives additional hotness as the hair flows and flips willingly. It works great on sleek and straight hair. If you have medium length hair and natural waves, you can easily perform this hairstyle by brushing your hair in many directions when the brush reaches the end. Another way is to simply allow your hair to dry after washing and run your fingers across your hair. This hairstyle is one of the most common styles of people with mid length hair. 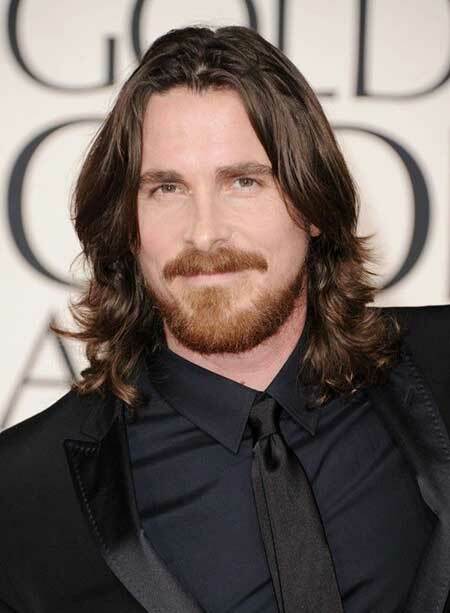 Even celebrities with long locks wear this hairstyle. You can also dye your hair blond but any color will definitely do. Use a comb to arrange the bangs and make small waves or simply run your fingers. 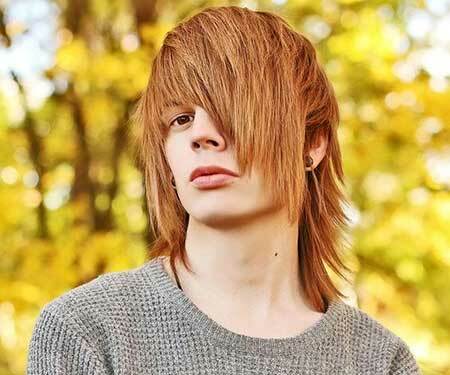 Shaggy hairstyle has many layers which makes your hair stylish and easy to manage. 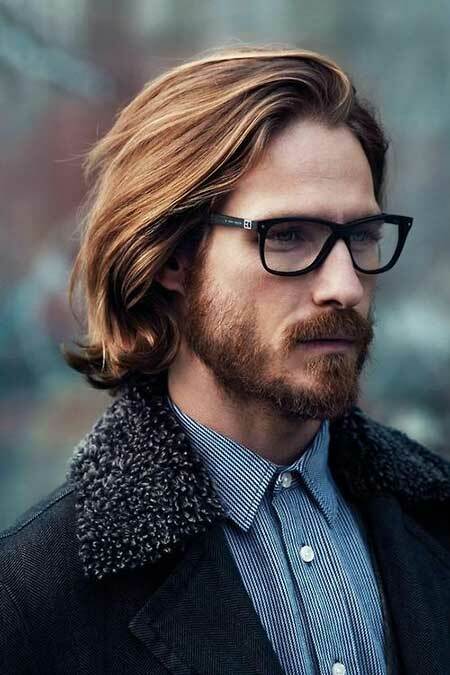 Are you running out of ideas on how to get unique medium length hairstyle? Aside from jumping to the easy solution and make it short, you can also try side-swept style with undercut! This hairstyle allows your bangs to fly freely at one side of your forehead. You may also need to apply hair products to keep the curls beautiful and in shape! This is another great medium length haircut for men. Layered and curly hairstyle gives you a both casual and intelligent look. The hair is cut in few layers which make you look even more attractive. If you do not have natural curls, you may ask your favorite hair stylist to curl for you. Many ladies would definitely turn their heads when they see this hairstyle. This hairstyle is perfect for outdoors, attending special occasions and parties. This haircut is suitable for men with medium to long length hair. Adding highlights to your hair is already enough to make it look attractive. This hairstyle applied highlights only on the bottom half part of the hair while the upper part remained as is. It also creates additional depth to the hair which makes it look good-looking. 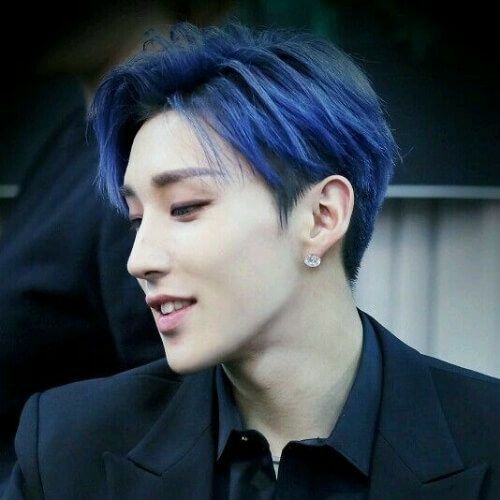 You can easily manage this kind of hairstyle by using your fingers to brush it. This Mohawk haircut is suitable for men with mid length hair. Both sides are cut short while the middle part on the crown area remains long. 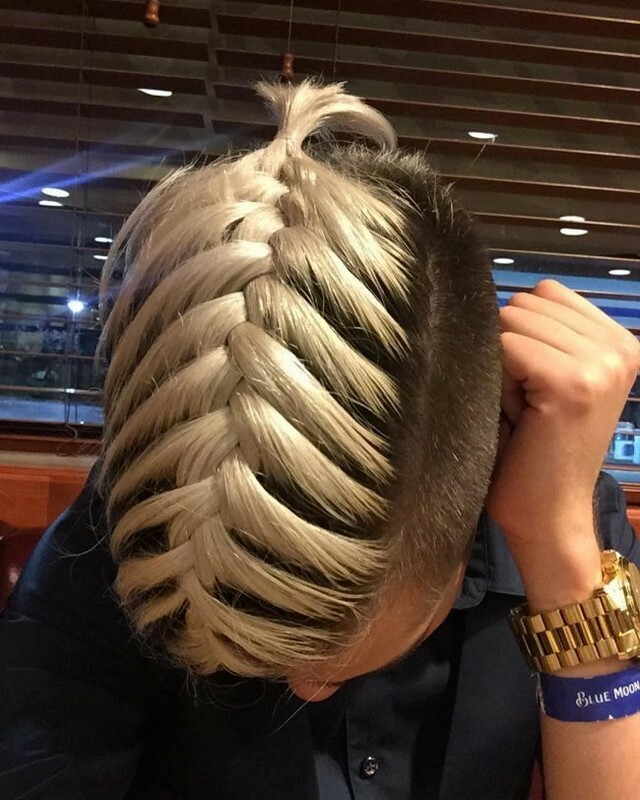 French braid is applied on top towards the end until no more hair is free. You can also make the braid look even more attractive with blonde color and it will definitely make you become the apple of the eye anywhere you go. This hairstyle is like the casual styles that gives you a free-spirited vibe.This haircut is great for men with shoulder length hair. The hair is divided in the middle for equal volume on both sides. The ends of the hair is either curled or styled into spikes. This style is perfect not only for casual parties but also for office setting. You can also wear this hairstyle for formal events. It is also very easy to manage it. This is another great medium to long length haircut for men. 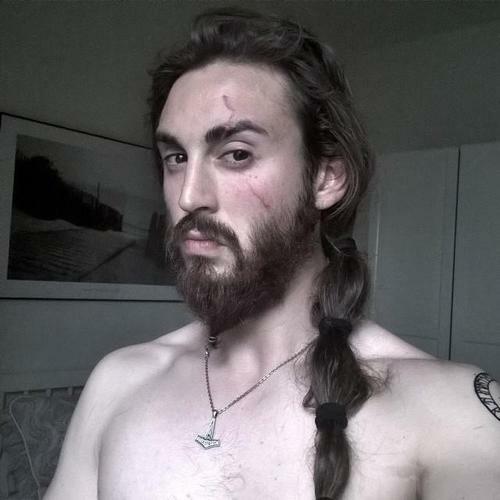 This hairstyle revives the appearance of Vikings warrior. It also works better on very long tresses. If you want to breathe for once from your hair but you do not want to let go of your treasure, you can try this out! Two braids are done neatly on each side of the head and these braids must fall all the way down to the chest area. 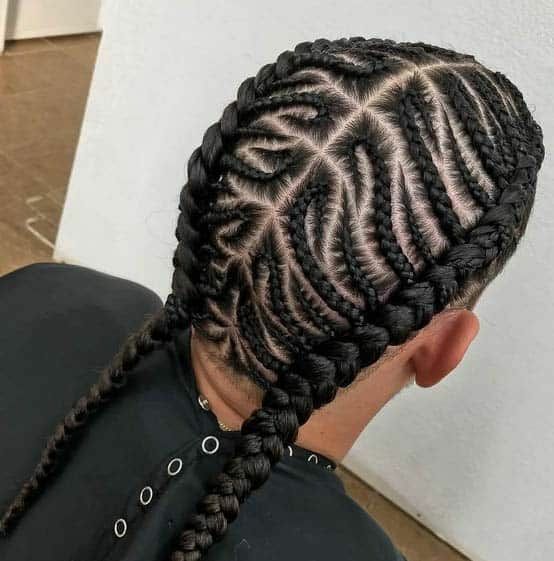 Wearing this hairstyle also leaves you a free feeling. This cooper medium comb backwards hairstyle is suitable for men with mid length hair. 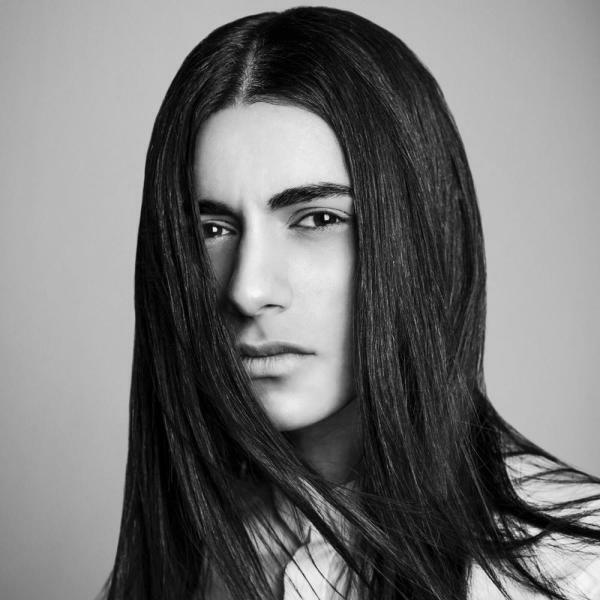 Keeping your hair longer can make it more manageable and easier to style. You can also try different hairstyles that you wish too! Comb your hair backwards and apply your favorite hair wax to keep it arrange on your crown area. It also adds more depth to your hair and looks very neat. It also gives you a classy appearance. If you are in a hurry but you still have to deal with your long hair, a simple ponytail can save you from the trouble. All you need to do is to bring your hair altogether and tie it tight. Having long hair past your shoulders is stylish enough and using a ponytail is just an add-on! If your hair is already dominating your ears, that’s already considered long! Now if you want to keep it that way, you can style it with cute curls. This hairstyle gives wave effect that can make you look cool even without exerting too much effort. If you are not blessed with natural curls, you can always use hair wax to keep the curls in place. 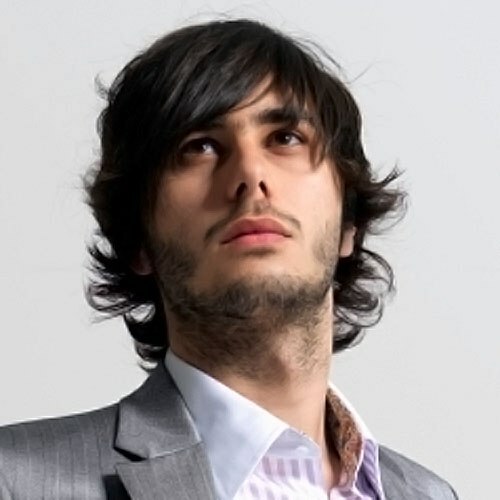 Funky style is one of the great unique medium hairstyles for men. If you are into small curls and you also wish to add even more depth and width to your hair, you might like to try this one out! Small portions of hair are curled and the result is a funky style! 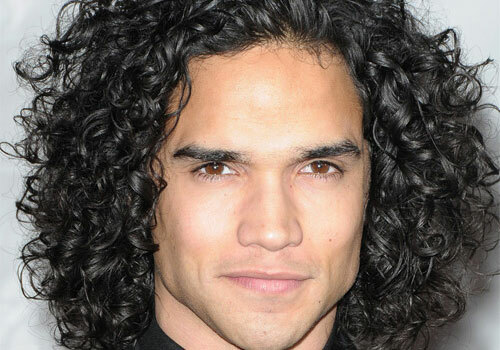 You also need to get curl-defining shampoo and conditioner to keep the style. You can also try mousse or foam for curls. Women are not the only ones who wear messy bun hairstyle. 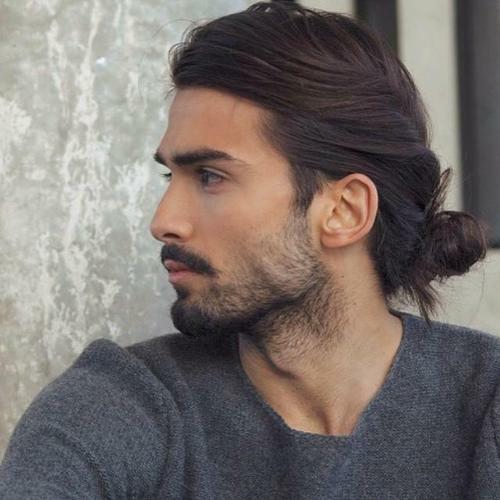 In fact, many men with medium length hair also tie their stresses into a bun. It is not only stylish but also very easy and quick to do. Simply bring your hair altogether and grab your ponytail. It does not have to be neat. Messy buns actually look hotter. 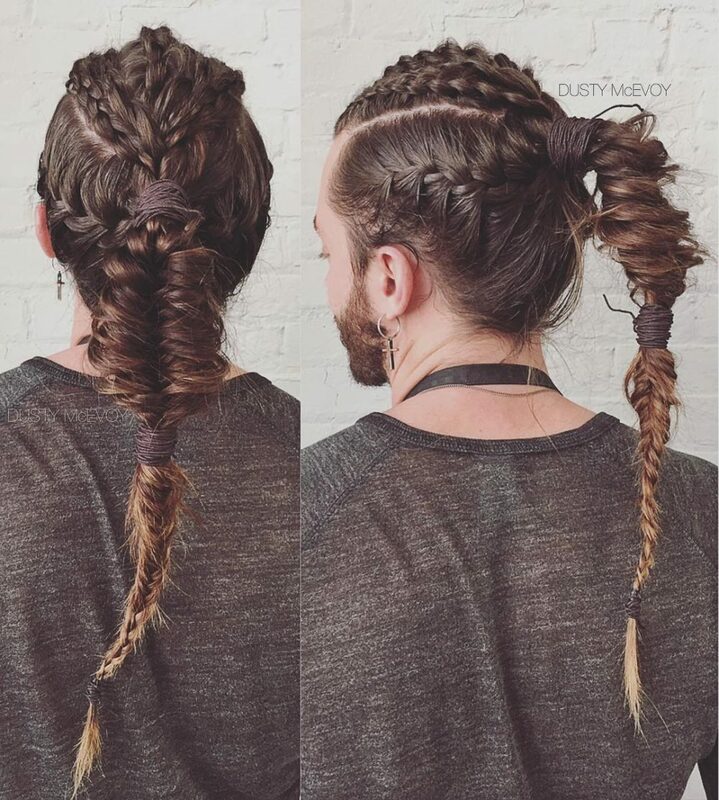 Here is another unique long hairstyle for men who are into braids. 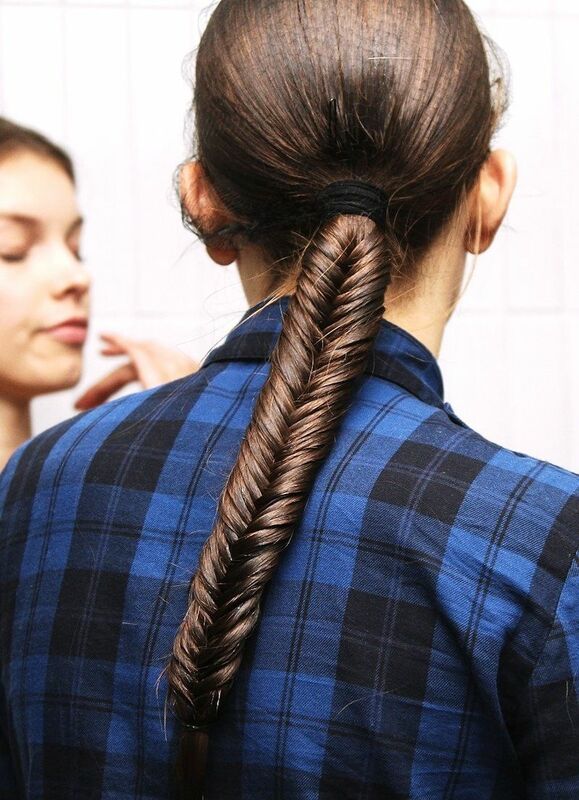 It is also easy to pull as all you have to do is to weave the strands into a fishtail. There are also many fishtail styles that you can perform and you can always have a hair experiment with your partner or friend. Another hairstyle that you might like is the curly and messy hairstyle. 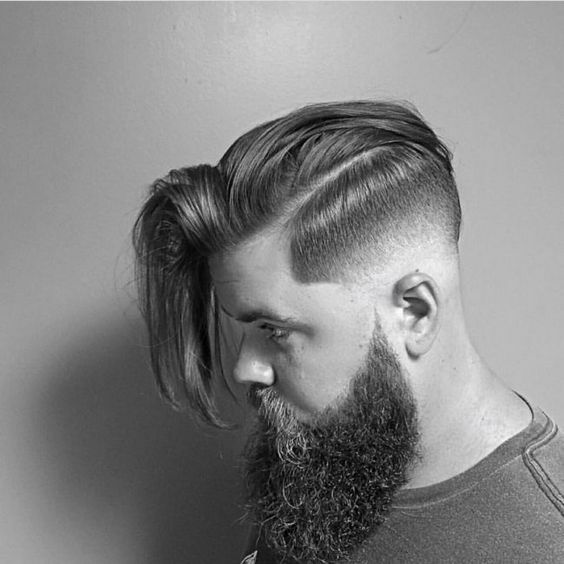 This haircut is suitable for men with mid length hair. The hair is first curled and you do not need to arrange as messy style can also do the trick for you. After curling your hair, simply disarrange it to create a messy look. 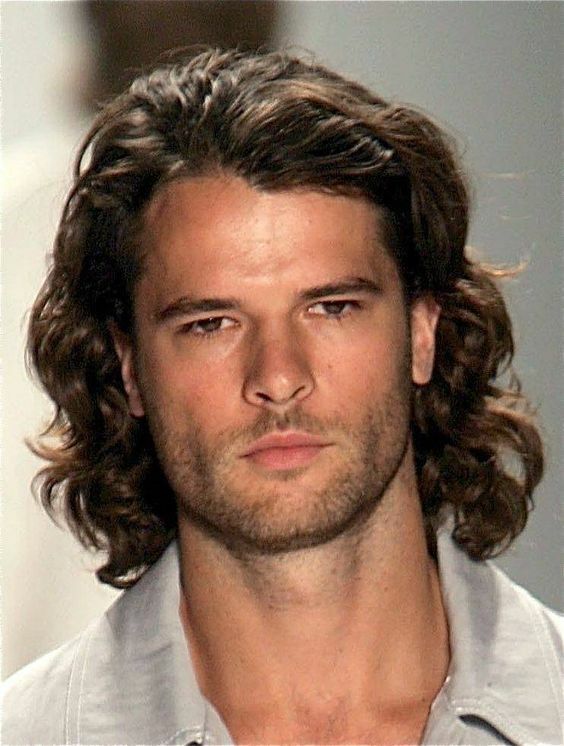 This is one of the eye-catcher styles as many ladies love messy hair in men. 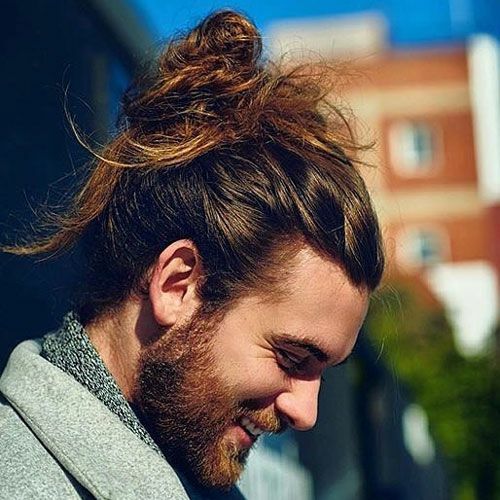 For men with mid length, sleek and thin hair, the smooth bun hairstyle is one that you should not miss out! 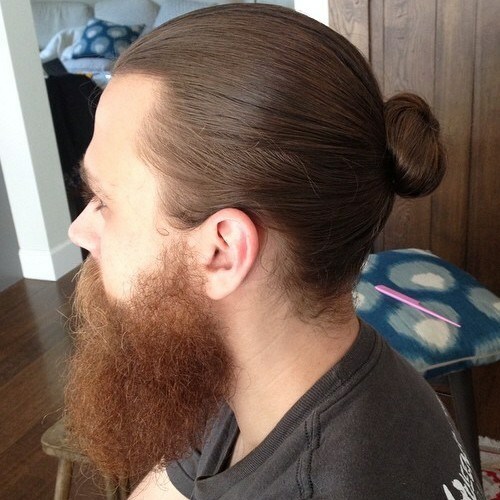 According to women, smooth bun is hot and you will get drown of compliments anywhere you go. It gives you formal, casual and also a smart look. It is also very easy to do this style. Simply grab your brush or comb to help you make your bun smooth and neat. This is another great hairstyle for medium to long length hair. If you have sleek and straight hair, you would not have any more trouble achieving this hairstyle. If your hair is too long, you can have it cut few inches below your shoulders and dye your hair black. If you have both characteristics, all you need to do is to simply brush your hair to eliminate tangles. This beautiful haircut is suitable for men with mid length hair. This hairstyle keeps bottom half of your hair down while the upper half is tied in a bun. 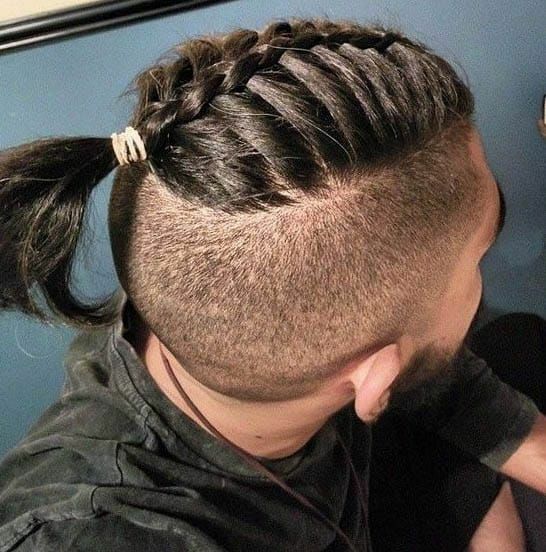 Not only girls pull this kind of hairstyle but many stylish men do as well! It is also simple to do. Simply divide your hair into two and tie the upper part with your hairband. This haircut is suitable for men with long hair. If your hair is a bit wavy, you can try to apply the samurai style to your hair. You will need at least two hairbands to pull this off! You can use as many as you can if your hair is very long. 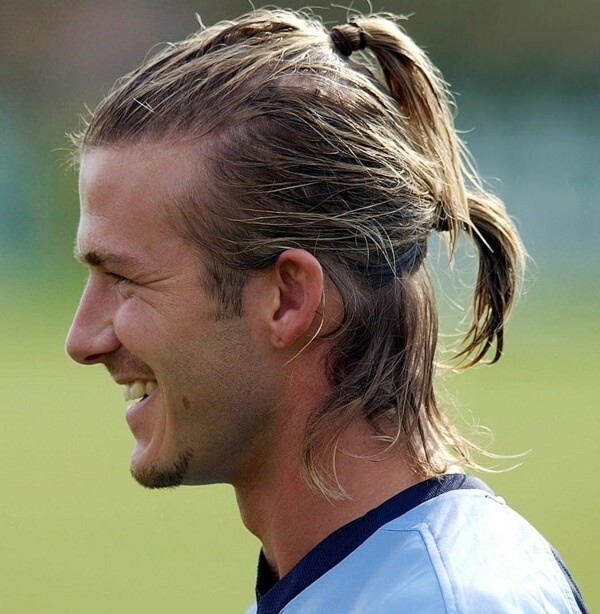 This Beckham double ponytail haircut is very suitable for men with mid length hair. 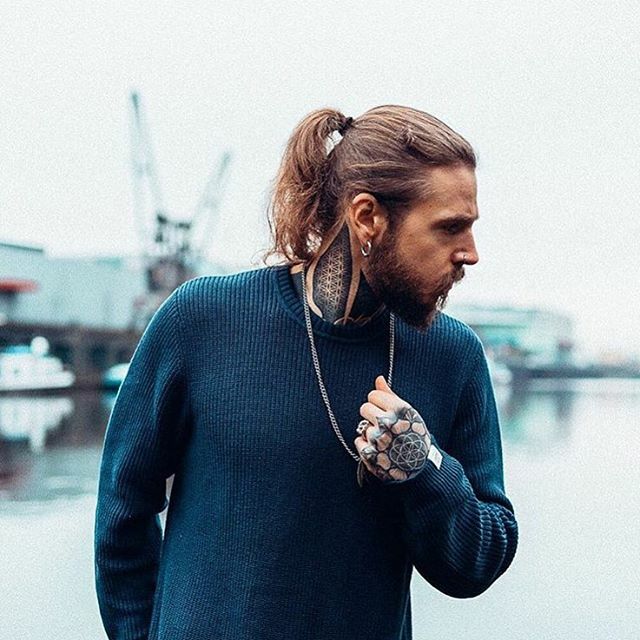 The way of achieving this hairstyle is like the Half-Up hair do but you also need to tie the bottom part to make a double ponytail. This is cute and perfect for going to parties with friends or family! This hairstyle has long and slanted bangs that cover one side of the face for a mysterious effect. The hair at the sides is combed neatly and it also has many layers to create additional volume to the hair. This hairstyle has become very popular especially in Asia. This is another great hairstyle for shoulder length hair. This hairstyle has few layers that add density to the hair. The ends are trimmed and style creatively to make it look like a dreamer. If your long hair is thin, you might want to consider this hairstyle to add volume to your hair. 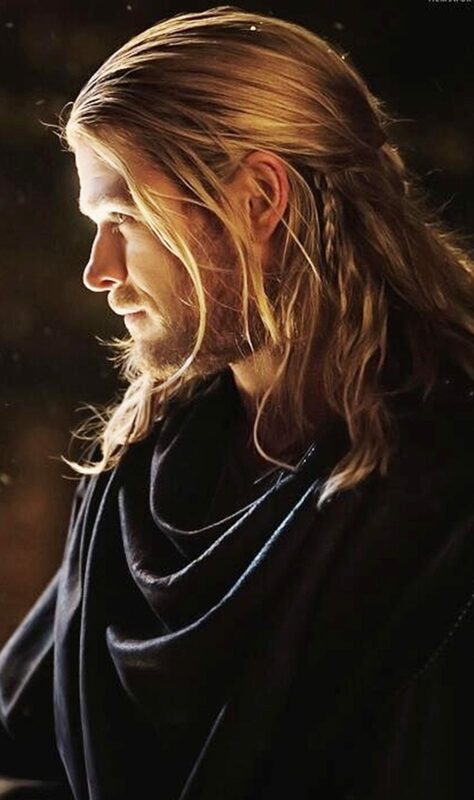 If you are a fan of Thor, you might want to copy his hairstyle. 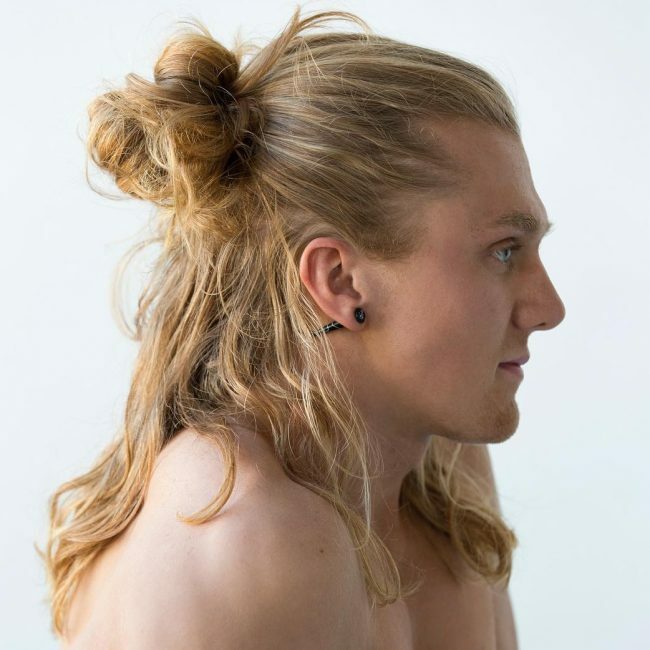 The Thor style has medium length cut and it starts by pulling half of the upper hair into a bun. The other half is weaved into multiple braids while the rest of the hair is just settled down. This hairstyle can definitely make you look like a superhero! All you need do to is to bring your hammer.